Most authors draw from life experience when writing a book. 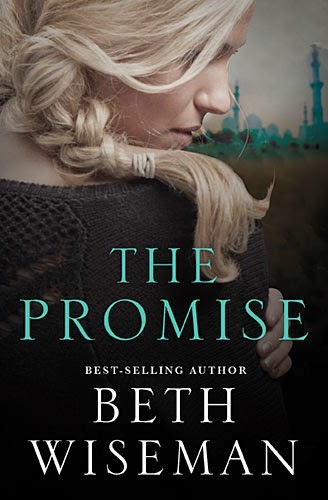 However, for best-selling authorBeth Wiseman, the inspiration forThe Promise came from encounters most readers could never imagine happening in their own lives. Inspired by actual events, Wiseman describes her latest release as the largest project she has undertaken since her first book was published in 2008. Mallory Hammond is determined not to let her boyfriend, parents, or anyone else get in the way of her #1 goal---to save a life. She had that chance when she was a teenager, and the opportunity slipped away, leaving a void she's desperate to fill. Then a new friend she met online offers her the chance she's dreamed of. But she'll have to leave behind everyone she loves to take it. Tate Webber has loved Mallory for years. He understands that Mallory's free spirit has to fly, and when he gives her the space she needs, he hopes that when she lands, the two of them will be in the same place and can marry at last. In a bold move---and with lots of resistance from Tate and those closest to her---Mallory decides to travel across the world to fulfill her dream. Tate begs her not to go, but Mallory embarks on the dangerous journey to Pakistan anyway, only to discover how swiftly and easily promises can be broken. Her new friend isn't who he says he is. And Mallory can only pray she'll make it out alive. I don't usually read Beth Wiseman's books, as she mostly writes Amish books, but this one sounded more along the lines of what I usually read, so I requested it for review. It also intrigued me that it was based on a true story. 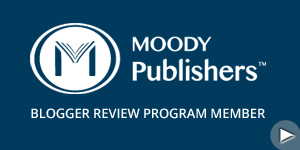 Overall, I liked the book. It had its moments of suspense, which appeals to me. I liked the characters, and the fact that the main character was determined to save a life to make up for the one she couldn't help, even though she got in over her head, and how her boyfriend did all he could do to bring her safely back to the USA. I don't know how much of the book is fiction where the author took license, and what is based on fact, but I am assuming the parts about the main character being duped into helping a sick girl, then getting trapped in a Middle Eastern country and being forced to become the second wife of a Muslim is based on fact. Regardless of which parts were real, it made for an interesting and entertaining read. What I didn't like: Mallory's boyfriend, Tate, prays for her often and tries to win her to Christ, yet it is inferred a couple of times that he is trying to get her into bed. It isn't said if they are sexually active or not, but it bothered me that the author would write that into the story - a Christian guy trying to get his girlfriend to God while also trying to get her into his bed. Also, there was one use of the derogatory curse word often used for women. It had no place in a Christian book, and I was disappointed and disgusted at it being included. I seriously doubt the author would insert it in one of her Amish books. Other than those two issues I had with the book, it is a good read.